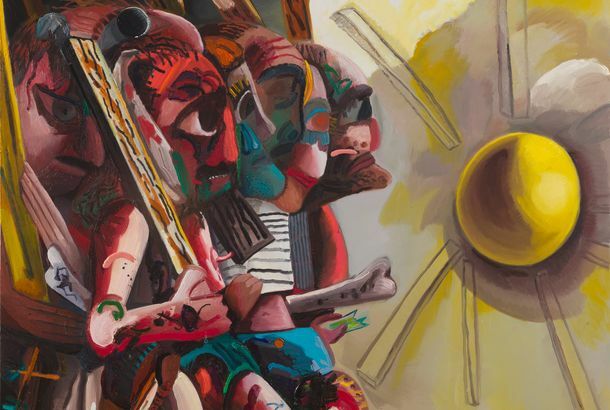 Henry Taylor’s Wild Heart Can’t Be BrokenEven after a star turn at last year’s Whitney Biennial, the art world still wants to see the master painter as an outsider. This Artist Transforms Humans Into PaintingsThey look shockingly real. Or rather, shockingly fake. Fun Fact: Mr. Robot’s Carly Chaikin Is Also a Gifted PainterAdd that to her list of talents. These Optical Illusions Are Actually Humans Masked in Body PaintNope, that’s not a flower. This Artist Uses Water As a Canvas to Paint a Rendition of Starry NightThe technique is called ebru. This Artist Makes the Trippiest Dripping Paint VideosWho knew watching paint dry could be so exciting? Morley Safer Once Sent Me His Strange PaintingsI didn’t hate them. Meet Winkelhimer Smith, the Squirrel Who PaintsWinkelhimer Smith prefers watercolors, chewing on acorns (just like any fine artist). Watch a Cool Turkish Water-Painting Music Video for Project Jenny, Project JanBy artist Hikmet Barutçugil.